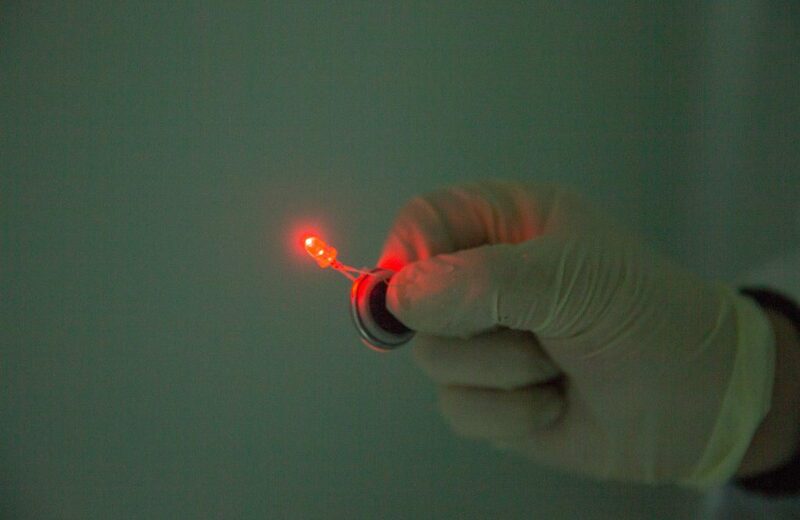 Securing five billion won in research funding from KEPCO and EWP. A new battery made from abundant and readily available seawater. UNIST will be working with public organizations in the energy sector to develop a new type of eco-friendly batteries that can store and produce electricity using seawater. 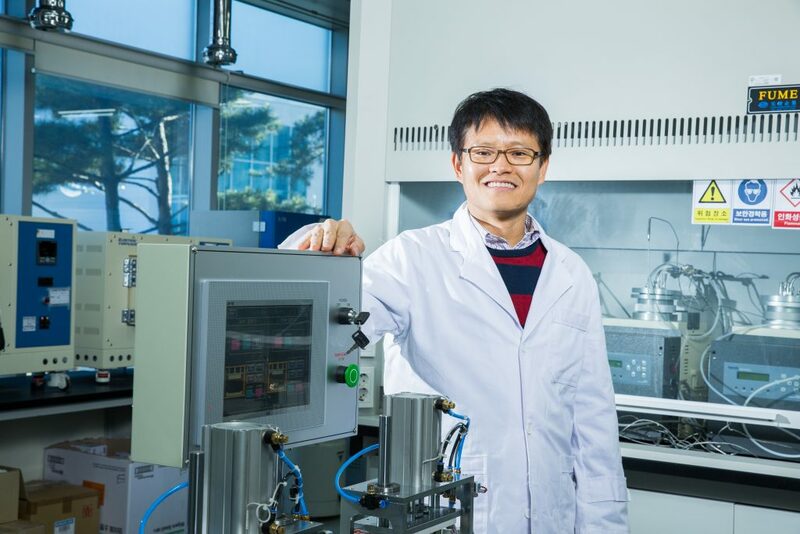 By successfully securing five billion won in research funding over three years, the project is expected to accelerate the commercialization of eco-friendly, cost-efficient, and high-stability seawater batteries. This project’s consortium includes Korea Electric Power Corporation (KEPCO), Korea East-West Power Company Ltd. (EWP), and the Ulsan National Institute of Science and Technology (UNIST). For this project, KEPCO and EWP will provide three billion by 2019 and two billion won by 2018, respectively. UNIST has been leading the seawater battery reserach since 2014 with the government grants worth seven billion won. Seawater batteries use sodium, the sixth-most abundant element on earth, to generate electricity. This makes this system an attractive supplement to existing battery technologies. The new type of seawater battery is much cheaper and more environmentally friendly than lithium and will, therefore, offer a low-cost route to large-scale energy storage. Moreover, the use of seawater can also considerably reduce fire risks, as it keeps the thermal fluid in good condition. Shown above are seawater battery pack (left) and seawater battery kit (right) developed by Professor Youngsik Kim’s reserach team at UNIST. Seawater batteries operate without auxiliary loads or an external power supply, except for water and salt. Therefore, they can be applied as energy storage systems (ESS) for homes and industries or as emergency power supplies for large ships and nuclear power plants. Seawater batteries are similar to their lithium-ion cousins since they store energy in the same way. The battery extracts sodium ions from the seawater when it is charged with electrical energy and stores them within the cathode compartment. Upon electrochemical discharge, sodium is released from the anode and reacts with water and oxygen from the seawater cathode to form sodium hydroxide. This process provide energy to power, for instance, an electric vehicle. 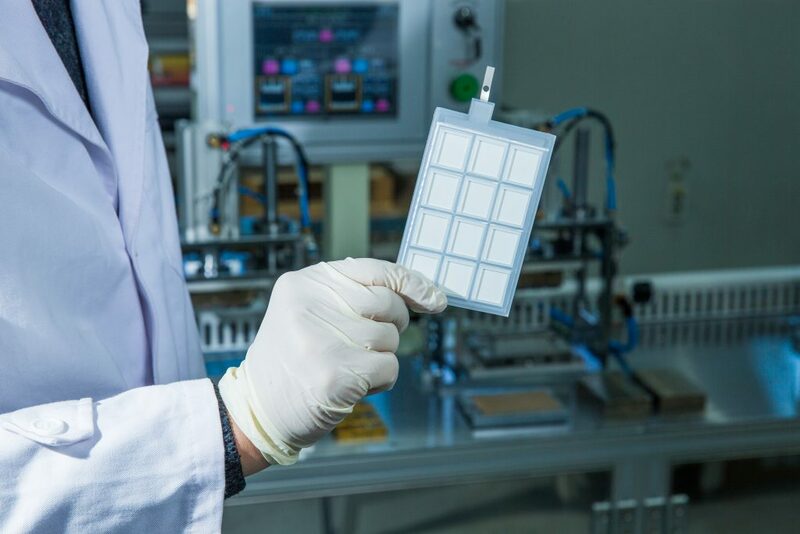 While seawater batteries are more cost-effective than lithium-ion batteries, they are not quite ready for commercial distribution. Part of the reason is that these batteries have relatively low electrical power. output. To overcome this, UNIST will help design a more optimized cell geometry and standardized procedures for the battery. 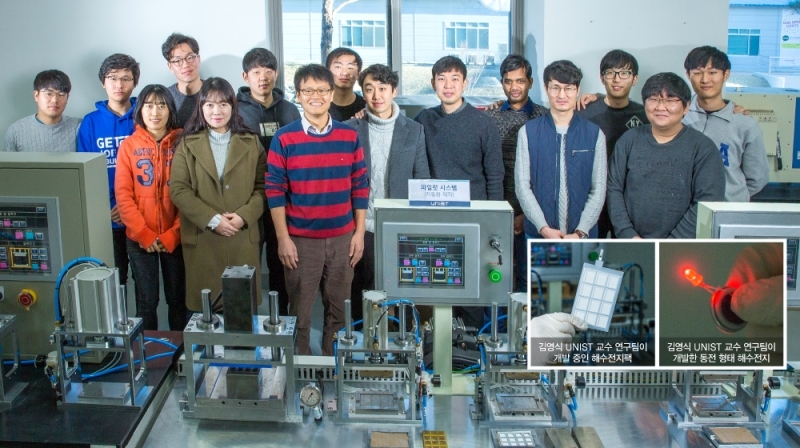 Together with KEPCO, the research team at UNIST plans on building cells with various sizes and shapes, thereby enhancing the charge rate of the battery by 20 Wh. Generally, a small smartphone lithium-ion battery stores about 10 Wh. Professor Youngsik Kim of Energy and Chemical Engineering at UNIST is currently leading the seawater battery research project. 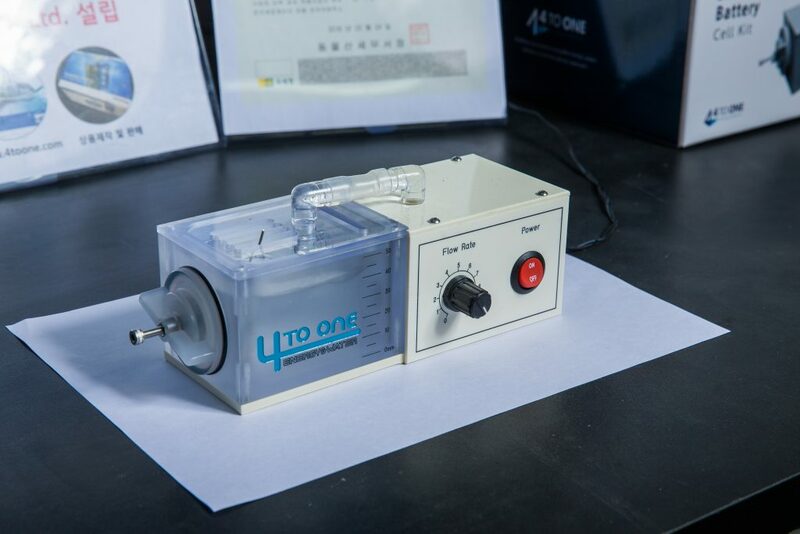 With the support of KEPCO, UNIST will establish a testing facility to mass produce seawater batteries, as well as to develop a seawater battery pack that enhances the charge rate of the battery by connecting cells. By 2018, the joint research team will build a 10 Wh seawater battery pack at Ulsan Thermal Power Plant. 10 Wh is the average amount of energy required per day for a family of four. This is a coin-shaped seawater battery, developed by Professor Youngsik Kim’s research team at UNIST. 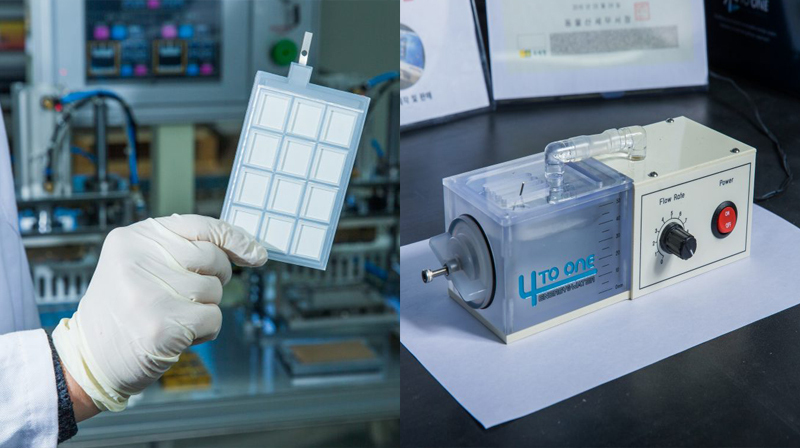 Professor Youngsik Kim started a venture, called ‘4 to One’ in 2015 and has been producing and selling coin-shaped seawater batteries and test kits. Professor Kim has also transferred the solid ceramic electrolyte synthesis technique, one of the core materials of seawater batteries to a local SME, Ce&Chem Co. Ltd. in 2015. The company now produces over 100,000 solid ceramic electrolytes annually. Earlier today, UNIST has also signed a MOU with KEPCO and EWP to initiate the joint research on the commercialization of eco-friendly seawater batteries. On January 24th, UNIST also partook in a major new initiative to support Korea’s innovative entrepreneurs.